In the past few days the team has finished their first days in clinic. The clinic is in Basan Alto, a small village with many needs. People are hungry for the Word of God. But they have many natural needs as well. The team is blessed to be serving and everyone is doing well. They have been celebrating some birthdays recently and tomorrow is a day of rest for them. They have been ministering the past 5 days and God has done great things! Thank you again for your continued prayers over this team! 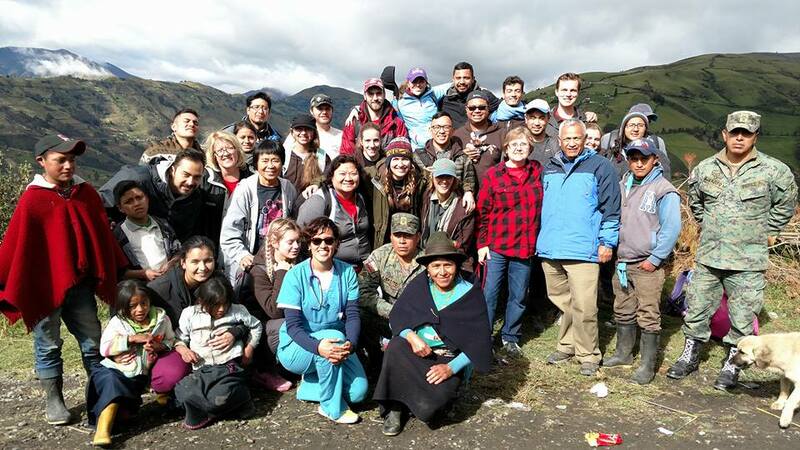 Our Ecuador Medical Missions Team has arrive safely in Ecuador! They will be in Ecuador for a little under 2 weeks, working with the people and children there and ministering to them. All of their luggage made it and the team is doing well. They are awaiting transportation to Riobamba. When they arrive they will begin unpacking, organizing and planning for the remainder of the week. Our team will not have internet for a few days, but we know God will be moving in and through them! We will update again when we hear back from them. We ask for your prayers for our team, for safety, health and guidance as they minister in Ecuador!